We’d all like more traffic. Regardless of your motives for writing, I’ve never heard of someone saying they wanted less traffic. Without readers, what’s the point of blogging? As your traffic levels grow, it gets easier and easier to get new readers, and with more people to share, retweet, and post about your content, you’ll eventually experience the snowball effect. Even big bloggers, though, need to think about traffic; those social shares and links won’t always happen on their own. You always need to start with great content before looking for more traffic. Content is king! Write compelling posts that deliver real value, and make sure you have an attention-grabbing headline. Paying attention to SEO doesn’t mean that you need to hire a company to create a high-ranking blog; it also doesn’t mean that you need a degree in computer science to understand it all. Pay attention to the basics like having keyword-rich headlines, interlinking posts, and getting links from high PageRank sites and you’ll find that your serach engine traffic goes up. Commenting on blogs is a great way to grow your blog and create a community with other bloggers. When you comment, make sure you’re adding something relevant to the discussion; people will be much more likely to continue to your blog if you share an interest in topics. Some bloggers worry that it’s somehow wrong to ask their audience to share their posts, but asking readers to “Please retweet” or “If you enjoyed this post, please share it”, can build your blog. Sometimes a little reminder is all that it takes. Make it easy for people to share your posts, too. If you’re tweeting a link and asking for a retweet, make sure your tweet is short enough that people can add a “RT @LesleyMCarter”. On your blog posts themselves, have social share buttons. If you’d like to submit to Bucket List Publications, you can review the submission guidelines and send your work this way. We publish to over 1.5 millions viewers per month and more than 43,000 followers. If we have different content, you can always submit your bucket list for publication! Appreciate your site and your advice Lesley! I think one of your greatest strengths is the way you share yourself with all of us. That may not be an official strategy, but it is really valuable. Thanks for some really simple steps! Any advice particularly on guest posts? The more places where you can get a link to your blog, the better. Contact others and see if you can swap posts, share your work wherever possible, and write reviews and let the company know (sometimes they will be willing to share the link). If you’d like to submit a bucket list related post to Bucket List Publications, please see the submission guidelines. We include a link to your blog and your name. You’re so great for sharing what you have learned. Always enjoy your posts. Now what are you doing next? Have a great trip! You don’t seem to stop! Good advice you provide. I appreciate having readers, but it takes a lot of time to build through comments. Sometimes it’s difficult to keep up with comments, but I try my best. Are you still living in California? Although I’m very happy in NC, I do miss the ocean and the weather. I’m now following your blog and I will check back regularly. Yes, Leslie I truly know what you mean but at least we try our best to keep in touch with them. They are a very important part of who we are or can be. I love California and I live in the San Diego area which is a beautiful place and the beaches are my favorites as well. Love relaxing in the moonlight and feeling the ocean breeze. Thank you for following. Will do my best to keep you on the loop and motivated. Take care. Great post as always Lesley! Btw had a question on guest post.. why do you suggest linking to a particular post and not to the full blog in our bio for guest post? I’m asking because after looking at my food blog, I was approached by another online food website to write for their recipe section and I have used my blog address and not a particular post’s link in my bio. I think there’s also another bullet point to be added, which I’ve learned from Social Media officer, it’s called Branding. Use the same username on most social media platforms if possible, so people would are able to recognize you even more. Awesome point and I wish I had of thought of this before creating a few social outlets that now can’t be changed. All of these ideas are great but the best way to maintain readership on your blog is to simply have relevant content AND post everyday. I have been away from my blog for a couple weeks due to some personal issues and I’ve seen my readership/visits drop considerably. While I completely agree that relevant content and posting daily are key, they don’t stand alone. There’s too much content out there for it to be as simple as that. Without utilizing other methods, it’s easy to get lost in the crowd. That being said, content is my main focus and it will always be the most important item on my list. Lesley – Thanks for sharing your ideas on generating blog traffic. Only three months in with mine, I’m realizing it is a slow process increasing readership. Too bad my content doesn’t marry well with your site or I’d be happy to “guest” on your blog from time to time. Thank you very much for all the advice for us newbies. I really need to go away and do my research on this SEO business and keyword stuff because I haven’t a clue about all of that. I will definitely be asking people to share my posts straight away though – that’s an easy one. Hey, this is very useful – I normally don’t ask readers to share my post explicitly, but it pays to know that people don’t find it tacky to do so 🙂 Thanks! Content and Comments are two factors that I emphasize. I think that a blogger also needs to consider her or his motivation for blogging, beyond generating statistics. During our recent trip to South Africa (hope you had a chance to follow our safari trip), while keeping family and frirends up on our travels, I picked up a lot of new “likes” and about 15 new subscribers. Our internet time was very limited where we were, so I tried to keep up on the posts and respond to comments. Now, I want to get back to check on those new folks’ blogs to repay the favor of their interests. Thanks, Lesley for following us at Amamihe! and for liking our post. 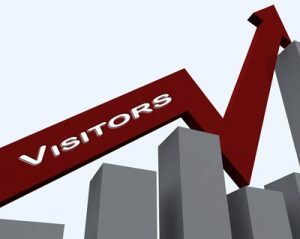 This post on getting site traffic is a real help. I’ll be checking this out more often. Thank you for this post! I have just begun blogging for my University course and need all the advice I can get! Whereabouts are you in Fiji? I can’t wait to swap stories! Thank you for the great tips & for your constant support Lesley! Your site is both informative and you are sincere with your readers, always wanting to help, that is why it is very appreciated. I have been applying some of the things you suggest and it seems to be working! Keep up the great work & I wish you nothing but love, success & prosperity. I appreciate your support and the time you took to comment. I’m doing all four, but guest blogging. Hopefully, that will come in time. Great post Lesley! Thank you for taking the time to share some valuable tips. As a beginner I am always looking for ways to improve and enhance my blog and I will definitely be trying out some of your tips in the near future. Thanks! I’m following your blog and I love the Disney focus. With two bucket lists, I’m certain you’d be a great fit for a submission to Bucket List Publications. You can check out the guidelines at http://www.bucketlistpublications.com/submissions/. All work published on Bucket List Publications includes a link to the writer’s site. Thank you for following me Lesley. My Bucket Lists were totally inspired by you, while I’m not brave enough to do half of the things you have done, your blog made me think hard about what I want to achieve in life. I would be honoured to guest blog for you one day, I will have a look at the criteria and maybe I’ll submit something for you to consider. Lesley these nuggets of wisdom are always appreciated. I always wonder how do you manage all the increased traffic and commenting?! Good advice, Lesley, thank you. I would add: include a graphic– a photo, illustration, or cartoon. One or two is probably ideal– it’s very easy to overdo visuals, we’ve all encountered posts with dozens of photos. But you need something to draw the eye– there’s nothing quite as self-defeating for a post than an unrelieved block of closely-spaced text. Great advice, especially to a newbie such as myself! Just learning the ropes and every bit of advice I can get is great. Really great advice – thank you! Is your last name Samways? Thanks for the simple and helpful tips. I pinned it for future reference since I am in the midst of creating a new blog that is more focused than my current one. I always enjoy your inspiring posts! Again, thank you so very much for your always generous investment of time and energy. I always benefit from your experience. I would participate in your “Publication” if my genre was appropriate, but as you know, my focus is on personal and spiritual growth. Thanks again! First, thank you for visiting my blog and reading through some of my articles. It’s nice to see more than just friends and family reading what I write. It’s encouraging, to say the least.. I really liked this piece and was glad to see that I already followed some of your advice. Thanks for this post! I just started my blog about a week ago, and it is always good to hear these tips from bloggers who have been there. Thank you so much for all your valuable information, I look forward to reading more. I want to thank you for your suggestions. I have tried several of them and have had middling success. I have found that interacting with the blog community is one of the best ways. So thanks for your suggestions! Great ideas that would be useful from novice to seasoned bloggers. Thanks for the suggestions and daily reads 😉 Have a great weekend and a Happy Thanksgiving! Thanks for the info. I am new to blogging so I am trying to get info so I can make it interesting, easier to search for, and have a better blog. I post all of my entries as the current date. Is that a bad idea? Should I be putting a unique title there instead? Inadvertently mention Justin Bieber. A few days ago hits on my post “Pondering Steven Harper” went crazy. Hundreds and hundreds of views. Like a proud mother, so pleased that my words struck a chord. My brief, naive bliss came to a grinding halt when the lightbulb went off. No one cared about “my Canada”. It was all about Bieber. I’m sure none of them even read it, certain my point eluded them, and suddenly feeling cheap and dirty; took a shower. Yikes. Wow, Lesley. I feel like I just went to Blogging 101 in a few short minutes. Thanks for that! As a newbie, I’m having so much fun learning about this whole blogging underworld. Who knew? I’m actually trying out the whole re-blogging process on another screen as I type. I have no idea what will happen. Do they have such things as blogging conferences? I already think it would be so cool to meet all my blog-pals I’m making live! Thanks for stopping by and liking my post. I have just started to explore your blog. 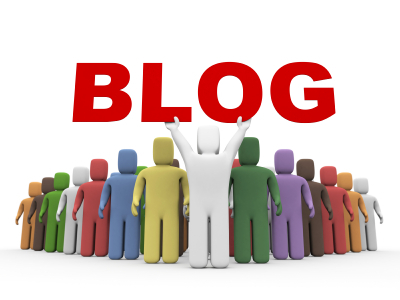 Loving your posts so far and the great tips for creating a successful blog. I never knew blogging could be such fun- I should have started years ago! Better late than never eh?